SUIT A BEGINNER OR INTERMEDIATE. 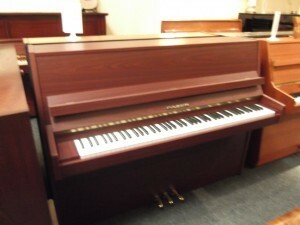 Here we have a fine instrument in a satin mahogany case, with a full clean keyboard. The piano has a third pedal for muted practice. Will provide a 12 month GUARANTEE, FREE local DELIVERY and first TUNING.